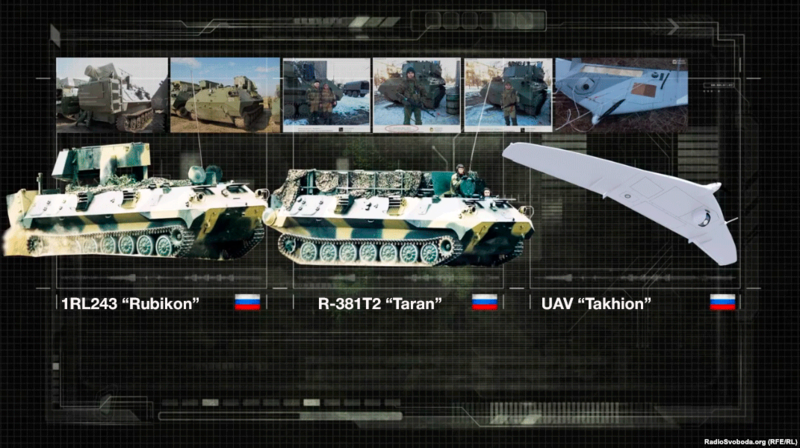 Samples of Russian weaponry spotted in the Donbas. 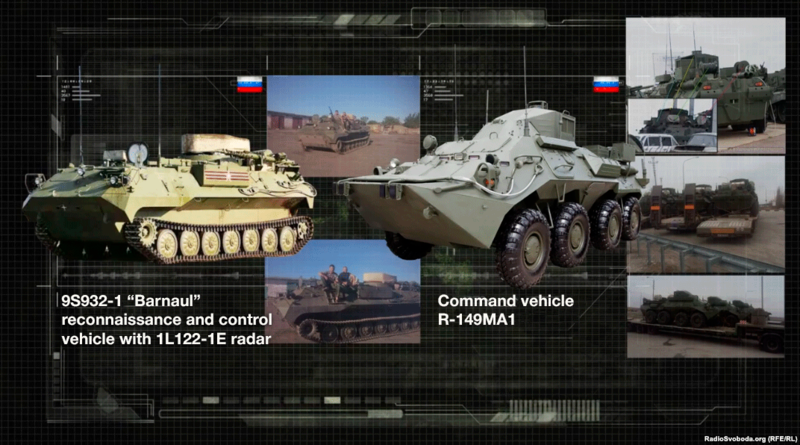 Russian military uniforms, armored fighting vehicles and munitions manufactured in the Russian Federation. In 2017 Ukrainian security service personnel filed their case-files with evidence of Russian intervention in the War in Donbas. But, clearly, the main evidence is the presence of Russian military personnel. According to reported data, there is a continual presence of approximately 3,000 Russian servicemen in eastern Ukraine. Well-publicized trials of captured Russian soldiers have long been part of this conflict. The main news in this regard over the last year has been the detention in Luhansk Oblast of Russian citizen Viktor Ageyev. However, at the end of 2017 his status suddenly changed. Why has a Ukrainian court refused to recognize Ageyev as a Russian soldier? Journalists from Donbas.Realii discover why. The regular Russian Army occupies a part of Donbas. What traces has Russia left in eastern Ukraine in 2017? How is it that Russian citizen Viktor Ageyev initially named himself a member of the Russian military, but in the courtroom, he transformed himself into a militant-volunteer? And is it possible that Putin will give orders for the army of the Russian Federation to leave Donbas this year? Viktor Ageyev arrived in the Ukrainian Donbas from the far away Altay Krai of the Russian Federation. “No,” replied the suspect, Viktor Ageyev. “I served in the Russian army, but after my contract expired I did not renew it, therefore I was enrolled in the ‘National Militia’ of the “LNR”. Ukrainian soldiers apprehended Ageyev in June of 2017 as part of a diversionary group. In that fight, three combatants were captured and two were killed. A criminal case against Viktor Ageyev was filed in court in November, but in contrast to the well-publicized cases against the “GRUshniks” (Russian Special Forces agents) Aleksandrov and Yerofeyev, Ageyev’s case is not being prosecuted in Kyiv. The trial of the Russian citizen is being held in a small district court in the urban-type settlement of Novoaidar in Luhansk Oblast. And Ageyev is not the only person on trial. Beside him are locals from Alchevsk and Sievierodonetsk. “In the course of the pre-trial investigation Ageyev did not give any indication that he was an acting military serviceman of the Russian Federation, and no other evidence about his term of service has been acquired,” noted Oleksiy Mokhort, a Ukrainian military prosecutor for forces in the Anti-Terrorist Operation (ATO). Volunteers from InformNapalm point out that the weapons which are used by combatants in diversionary groups are manufactured in Russia. Furthermore, there have been statements made by Ageyev’s mother and friends about his military service, and Ageyev himself said that he was a contract-soldier. “Ageyev Viktor Aleksandrovich… do you need my date of birth? My term of service expired in May of 2016, I went home and stayed there for roughly a year. Sometime in February of 2017 I went to Rostov and signed a contract,” Ageyev answered under questioning. “As they say, I am the master of my own words, and today I’ll say something, tomorrow, I won’t, because we are getting out of this indictment,” announced Viktor Chevhuz, Ageyev’s defense attorney. According to the Chief Directorate of Intelligence of the Ukrainian Ministry of Defense (HURMO), approximately 3,000 Russian military personnel are stationed in Donbas. The case of Ageyev is, perhaps, exceptional. Russian soldiers strive to avoid direct firing contact with Ukrainian soldiers. “[Russian officers] form the administration and leadership of combat formations, brigades, regiments within the 1st and 2nd Army Corps. Apart from that, there are a great number of instructors, who train personnel within the 1st and 2nd Corps,” explained Vadym Skibitskyi, a representative from HURMO. 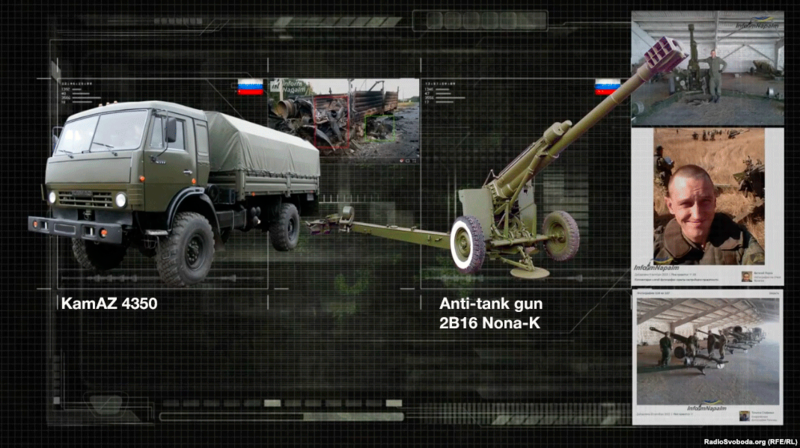 InformNapalm identified 11 new types of Russian weaponry and machinery in Donbas in the last year. 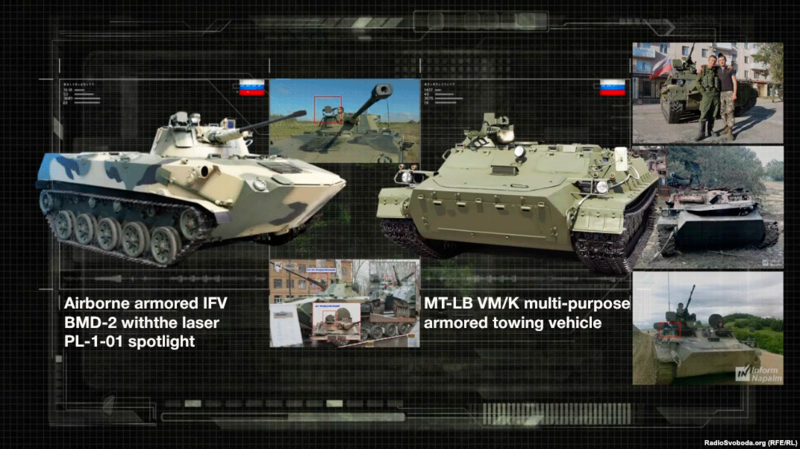 These include armored fighting vehicles, trucks, artillery pieces, intelligence systems, radio-electronic systems and unmanned aerial vehicles. 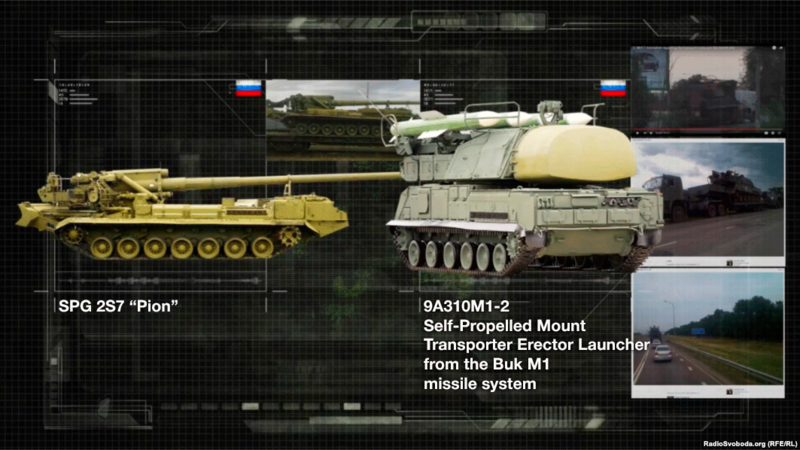 InformNapalm has currently documented 44 types of Russian weapon systems in its database. 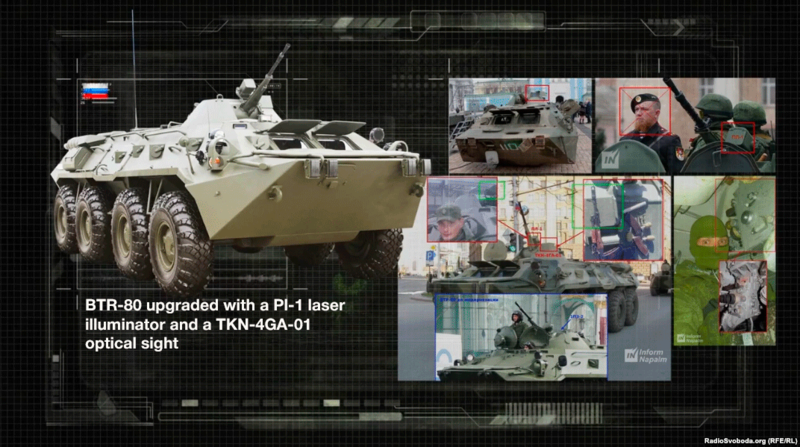 One example is the identification of a new model of BTR-80, with a laser projector and optical targeting-sights manufactured in a Rostov-on-Don (Russia) optics and mechanics factory. “This was done through the efforts of a serviceman by the name of Potiomkin, who happened upon a munitions base in Makiivka which the occupiers had built. Potiomkin began to analyze and inspect, and he noticed a tiny but well-known targeting-sight,” Mykhailo Makaruk retold. “We have submitted to the examination of the court over 1200 concrete facts, as they say, not ‘old wives’ tales’, not ‘neighborhood rumors’, but concrete documented facts, which speak about the presence of the regular Russian Army on the territory of Ukraine,” explained Heorhiy Tuka, Ukraine’s Vice-Minister for the Occupied Territories. The International Criminal Court’s prosecutor’s report from 2017 already includes words about “the existence of an international armed conflict in eastern Ukraine” [See “Report on Preliminary Examination Activities: 2017”, a publication by the ICC Office of the Prosecutor. Page 21, Section 94]. “Now everyone understands all this completely, that two years ago Russia said that our support would diminish. How many voted in support for Ukraine, when we became part of the Human Rights Council? As many as voted in support for Ukraine two years ago. Therefore, support for Ukraine exists,” stated Pavlo Klimkin, Ukraine’s Minister of Foreign Affairs. Ukrainian Vice-Minister for Foreign Affairs Olena Zerkal during a session of the United Nations International Court examining litigation against Russia. The Hague, 6 March 2017. However, it will still be a long time before there is judicial recognition of the Russian Army’s presence in Donbas. Moreover, Russia does not recognize the jurisdiction of the ICC. “There is no Russian Army in Donbas, but certain military formations have formed there, and these are self-organized and ready to fight off any kind of large-scale military actions against Donbas,” stated Vladimir Putin, the Russian President. However, the Ukrainian Ministry of Defense has named the 1st and 2nd Army Corps of the “LNR” and “DNR” terrorist groups as part of the structure of the Southern Military District of the Russian Federation. Approximately 35,000 combatants, according to HURMO, are organized into the Russian 8th Army. “The system of administration was organized already in 2015, and it is included directly into the staff of the [Russian] Southern Military District, responsible to all orders and directives issued by the General Staff of the Armed Forces of Russia,” Vadym Skibitskyi remarked. 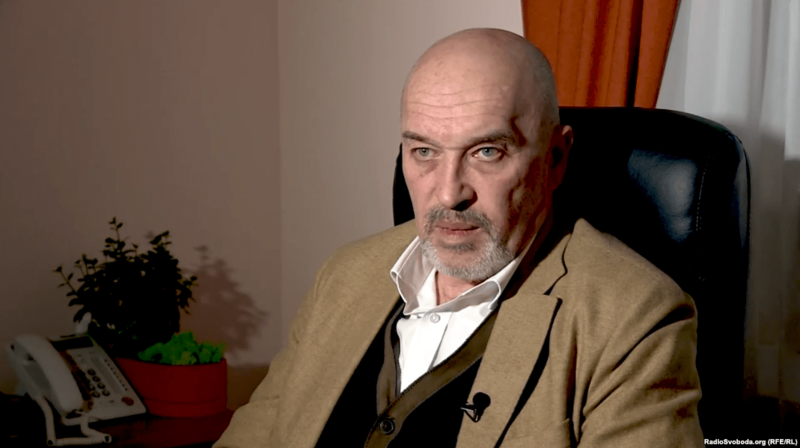 “To give Putin the opportunity to leave eastern Ukraine without ‘losing face’ is, in my opinion, the ongoing work of international diplomacy,” Heorhiy Tuka stated. It is in this work that the fate of people like Viktor Ageyev depends. Despite this, Russian citizens continue to fight in Donbas on their own will and on the orders of their military commanders.